Between January 24 and the March 15 UIB Egalitarianism researcher Alessandro Zagato together with Chilean art historian Natalia Arcos will participate in “Rights of Nature: Art and Ecology in the Americas” an exhibition hosted by Nottingham Contemporary, which will gather fifteen artists confronting the planetary crisis as it plays out across the Americas, from the Andes to the Arctic. Our participation, titled “Autonomy is Life” (Autonomia es Vida), won’t exactly consist in the display of a conventional artwork but in the organisation of a space recreating a sort of “archive of Zapatismo” where various pieces of visual art and literature tightly related to (or produced by) the contemporary Zapatista movement of Chiapas, Mexico, will be displayed. The 11 of March we will be also giving a workshop and a guided tour of the installation. For updated information on the schedule please visit nottinghamcontemporary.org. The links between Zapatismo and aesthetics are fairly evident in our view. 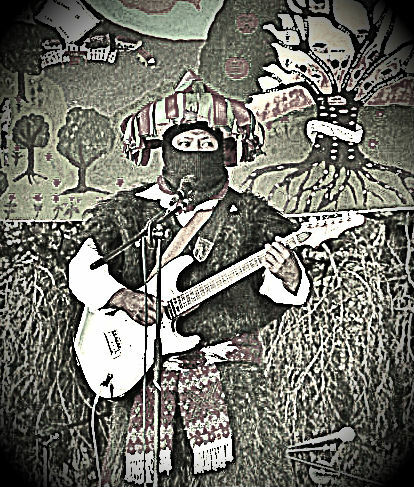 Not only there have been many artists (some even very popular like French musician Manu Chao) who have adopted elements of the Zapatista imaginary in their art production, but since the beginning, the Zapatista political process itself has been deeply shaped by singular forms of aesthetics and poetics, which have been decisive in producing subversive content, communicating with the civil society, generating affinity of views and cohesion among activists, and stimulating their subjective flourishing – imagining (and experimenting with) ideas of equality for possible better worlds. This particular synthesis of politics and aesthetics has been organic to the vital process of constructing a real historical alternative, subverting what Jacques Ranciere (2006) has described as “distribution of the sensible”, the regime of conditions of possibility to perceive, think and act in a given social-historical situation. The Ejercito Zapatista de Liberación Nacional (EZLN) was born clandestinely in 1983 out of the encounter between left-wing political traditions and the ancestral indigenous (Mayan) culture of the people living in the Lacandon Forrest, a remote and extremely poor mountain region of the south east of Chiapas. From this encounter, novel ideas, concepts, and languages have evolved, contributing to the production of a politics experimenting with innovative notions of equality and social justice, which, to some extent, go beyond the failure of earlier 20th century’s attempts. Within their territories the Zapatistas have shown an extraordinary capacity to organize social/political spaces separated from – or “asymmetrical” (John Holloway 2014:32) to the state and its forms (this is what they mean with “autonomy”), and to produce concepts, neologisms, verbal twists, symbolisms, poetic/aesthetic tendencies and imaginaries expressing the contradictions, ambiguities and infinite possibilities of being asymmetrical to power, and through which they have opened new strategic perspectives. Think for example about the idea of “ruling by obeying” (mandar obedeciendo), an oxymoron reflecting the ambivalent nature of power, and which they strictly apply to the administration of their autonomous communities, which today can count with local Juntas de Buen Gobierno (collective and rotating government boards), healthcare system (including autonomously managed clinics and hospitals), education system, a collectively organised system of production, and an independent legal system. “Ruling by obeying” is a concept which can hardly be co-opted by the state, and applied to hierarchical/bureaucratic structures. Moreover, it constantly confronts the movement’s collective organisation efforts with issues of horizontality and equality. Or even think about the recent (26-05-2014) surprisive farewell of Subcomandante Marcos, the movement’s leading and iconic figure appealing to the educated middle classes and the mass media, a prominent personality capable of dialogue with intellectuals from around the world – and now revealed as a “hologram”, a “complex manoeuvre of distraction, a malicious move from the indigenous heart that we are, (…) challenging one of the bastions of modernity: the media” (EZLN 2014). The “construction of the figure of Marcos”, tell us the Zapatistas, begun straight after the 1st of January 1994 uprising, when they emerged from clandestinity, because “we noticed that those from outside did not see us. Being used to looking down on the indigenous from above, they didn’t lift their gaze to look at us. Being used to seeing us humiliated, their heart did not understand our dignified rebellion. Their gaze had stopped on the only mestizo wearing a ski mask [i.e. Marcos], that is, they didn’t see” (EZLN 2014). The metaphorical death of Marcos, which took place in a highly performative event organised by the Zapatistas in La Realidad, where he appeared for the last time, officially decrees the end of vanguardism within the movement, and a complete rupture with mainstream aesthetics, moving the attention to the “bases” and the process of construction of a real egalitarian alternative from below. Uruguayan sociologist Raul Zibechi (2014) has argued that with this spectacular step “the Zapatistas set the bar very high, higher than it has ever been set by any political force”. On the other hand however, what does Zapatismo have to do with “ecology”, Nottingam Contemporary’s exhibition main theme? Although the Zapatistas have rarely used this concept, and neither would they define themselves as “ecologists” or “eco-activists”, their struggle might be intended as “ecologically relevant” because since the beginning it has focused on the problem of the ownership and use of the land, including its preservation against neoliberal destruction. Indeed, a way in which Capital constantly expands is primitive accumulation, described by Marx as the enclosure of land and natural resources to release them into the privatized mainstream of capital accumulation, and the consequent expulsion of the resident population, which creates a landless proletariat. This is the case of many rural Mexican populations (mainly indigenous) who have had to deal with constant aggressions perpetrated by multinational corporations interested in exploiting the plentiful resources of this country, with the support of the neoliberal State and its military and paramilitary apparatuses. Since the Spanish conquest the indigenous populations inhabiting these lands have been treated as sub-humans, and abandoned to a state of complete poverty in a highly racist society. Nevertheless, they have kept entertaining a vital and mystical relation with the territory and its resources. And for five centuries they have carried out a resistance struggle to defend their land and traditions from colonial arrogance and capitalist standardisation. 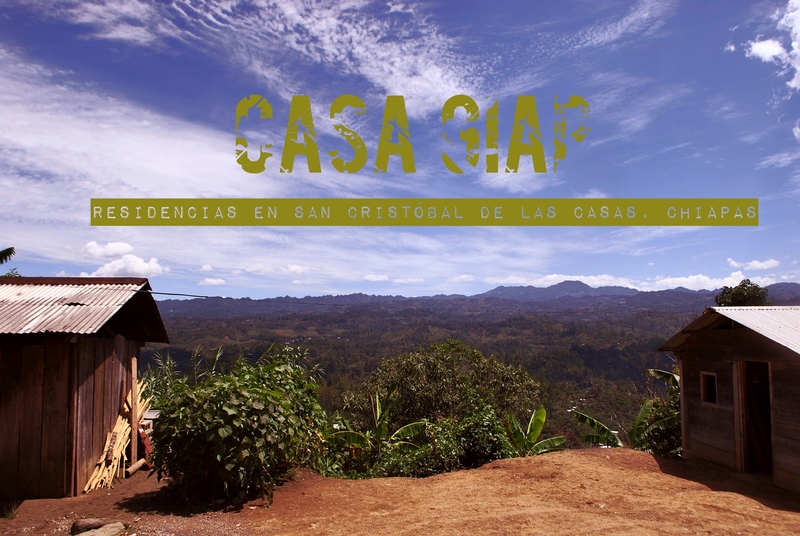 Their mystical relationship with land and nature inspires local folktales and myths constituting some of the main conceptual axes of the politics of the EZLN. Many of these stories are collected in “Relatos del Viejo Antonio” a book authored by Subcomandante Marcos and published in 1998. The ground-breaking developments of the Zapatista autonomous project show us how engaging it can be to achieve popular control over a territory, and be able to creatively produce a real alternative to what there is. Today for example, the role of agroecology, a holistic model for designing sustainable and biodiverse agro-ecosystems, has assumed an enormous importance for these populations. On the one hand the movement’s entire agricultural production is sustainable and free from GMOs and agrochemicals, it protects biodiversity and it is managed collectively. Particularly important is the struggle to preserve the varieties of corn (the primary and daily food, which also has a sacred connotation) present in Chiapas from being contaminated by trans-genetic corn patented by multinational agro-chemical companies. On the other hand, for lacking resources, and for being extremely marginalized, these communities strategically use agroecology to achieve food self-sufficiency, which constitutes one of the economic grounds of their autonomous project. The Zapatista example can stimulate the development of critical ideas of “ecology” as organic to the broader struggle for equality, and not just as a separate instance, or a technocratic problem of administration. A series of 20 paintings by Beatriz Aurora, a Chilean artist based in Chiapas, Mexico. Daughter of the Spanish historian Leopoldo Castedo, her life has been deeply shaped by radical activism, since she was a member of the MIR. Her paintings are esthetically associated with the EZLN since the early stages of the uprising. A series of 10 original serigraphs by the Escuela de Cultura Popolar Martires de ’68 (School of Popular Culture Martyrs of 1968) a militant artists’ collective based in Mexico FD, who have played a decisive role in promoting Zapatista political views in urban context. A mural by Camilo, an indigenous Zapatista Artist based in San Andres, Chiapas, whose paintings are usually displayed and sold by the Zapatista crafts cooperatives of San Cristobal de las Casas. Camilo is a full time peasant whose activity benefits the rebel indigenous Zapatista communities. A video by Russian documentarists Elena Korykhalova and Oleg Anatolievich, produced under the supervision of Natalia and myself. Elena and Oleg have been collaborating and entertaining an inspiring debate with us as we were all living and carrying out research in Chiapas. 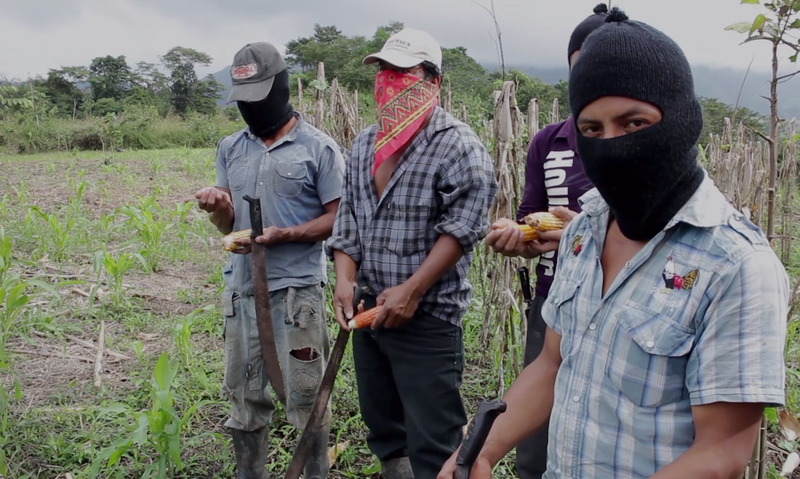 The video puts together moments of collective work in the Zapatista communal fields, revealing the symbolic and material importance that corn plays in the rebel communities. A selection of 8 communiques by the EZLN where the themes of nature, land and environmental justice are central. The state of Chiapas, for example, owns almost one third of the republic’s surface waters, and its dams supply between one-third and one-half of the country’s hydroelectric power. Chiapas also owns still unexploited petroleum reserves, one of the highest percentages of forest, and it has the highest rate of deforestation in Mexico.